GroundTruth’s GT RAB Drill is a Rotary Air Blast Drill. It uses compressed air to actuate the down the hole hammer and is equipped with rubber tracks. Our ultra-portable GT RAB Drill is capable of reaching depths of up to 100m in a 12 hour drilling shift. moves are quick and easy. 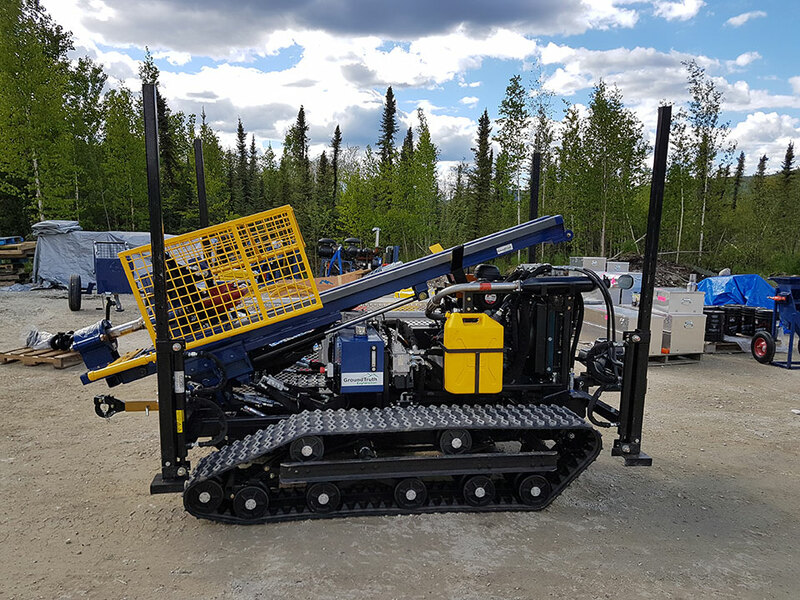 The GT RAB Drill is a wireless remote-controlled rubber tracked platform with a hydraulic tilting mast assembly and rotary drill head. The GT RAB Drill has 1.24 square meters of track coverage which gives it, its low ground pressure and excellent flotation. This allows it to minimize impact and be very maneuverable over the terrain. The entire unit is powered only by a 44hp diesel engine making it very fuel efficient. The tracked GT RAB Drill is an extremely cost-effective and versatile drilling solution. 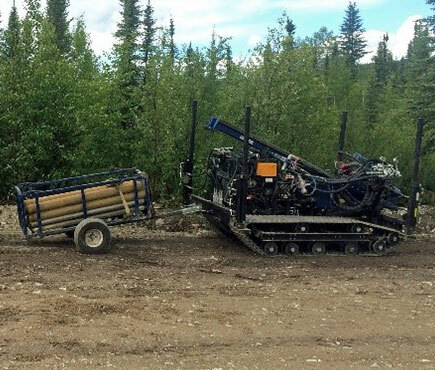 GroundTruth has improved the RAB system by increasing mobility and reducing weight to excel in remote drilling locations. 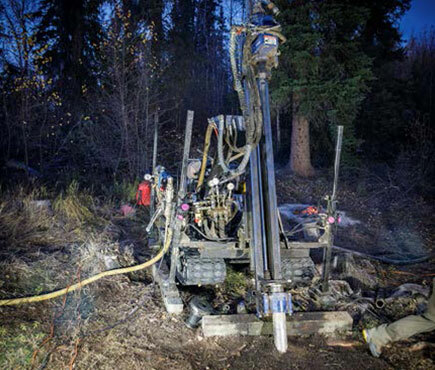 The Drill is capable of drilling up to 100m in a 12 hour shift on angles up to -50 degrees. The tracks allow to move between holes, saving costs of helicopter slinging for moves within 500m of the compressor. 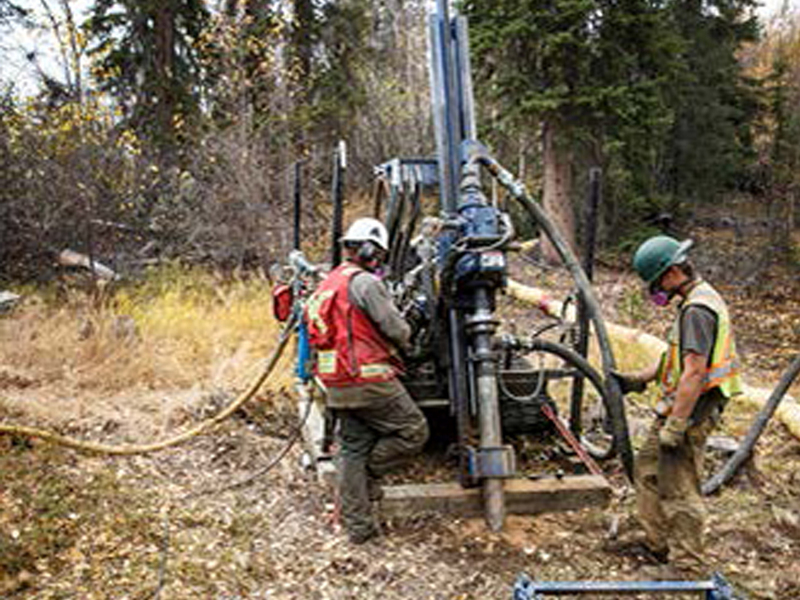 Set-up is extremely fast: The GT RAB Drill is self-leveling and no water lines are required. 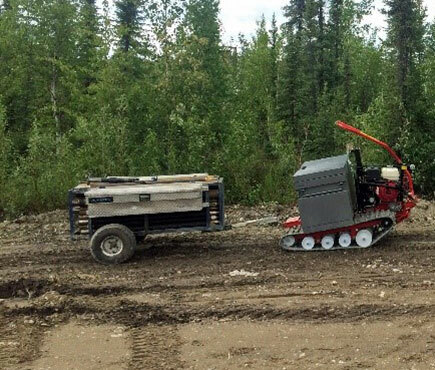 The drill relies on a stationary heli-portable 300/200 compressor. To minimize move costs, the compressor is placed in a central location where it can reach multiple targets before needing to be moved. Because of all this, the GT RAB Drill can be operated at a fraction of the cost of traditional diamond drilling in remote locations. 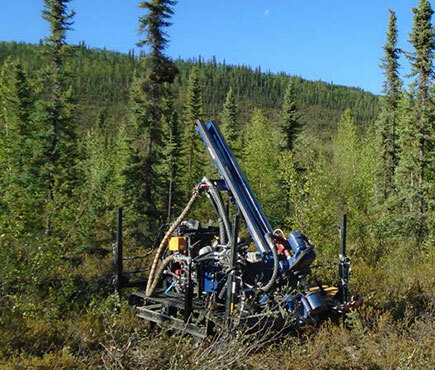 ©Ground Truth Drilling. Designed by LP.